Sometimes you pick up a book and fall in love with everything about it. You want to move to the town where it takes place, live alongside its characters, and eat whatever they’re eating. That happened to me when I read Louise Miller’s The City Baker’s Guide to Country Living, a true gem of a book and one of my favorite debuts of 2016. This novel has everything you could want in a cozy fall read—a charming New England setting, a pie contest, an unforgettable cast of characters, a charismatic dog, and a heartwarming story of family and love. To celebrate the book’s paperback release—and the season of pie—I recently chatted with Louise about writing, reading, what’s next from her, and, of course, dessert. 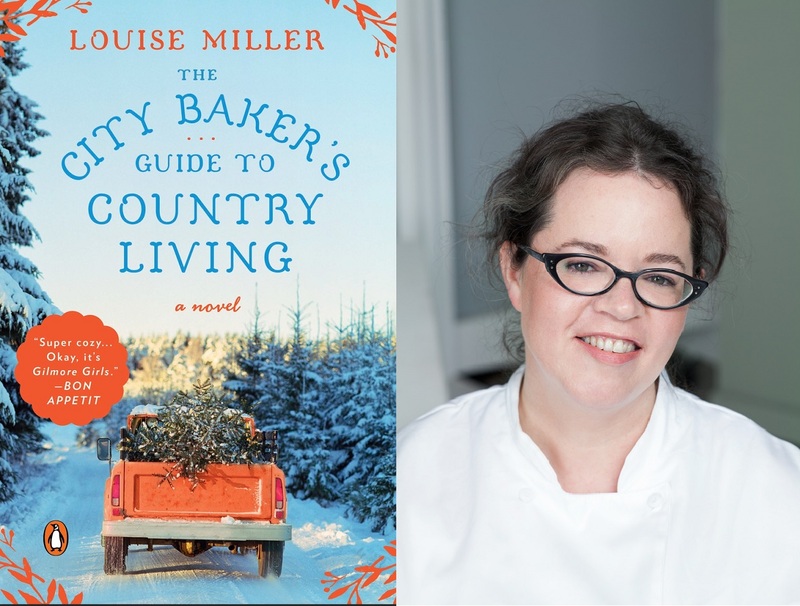 The City Baker’s Guide to Country Living is your first novel and it is so, so wonderful. Did you always know you were a writer? How did the idea for the story come to you? I always wanted to write, but didn’t start writing seriously until I was 38 (I’m 46 now.) I had just gone through a year of many losses, and it left me realizing it was time to try pursuing my dream of being a writer or to let it go. The idea for The City Baker’s Guide came to me when I was walking my elderly, three-legged dog Carver (named after Raymond). The walks were very slow, and provided lots of time to daydream. The spark of the novel came from a true story. Back in 1999, I entered a county fair baking contest. When I stopped by the kitchen to see who won, I came across a crowd of almost 100 bakers, all silently watching three judges eat pie. The tension in the room was thick. It ended up being a record-breaking year for entries, and the judging ran late. I carried that image around for years—all those bakers—and with the image came questions: why did they want to win so much? Was it always this competitive? What was at stake? What would happen if they lost? The questions sparked the plot of the novel. You’re also a professional pastry chef with an Instagram account that makes me DROOL! How do your two worlds—writing and baking—work together? Do you have a writing schedule? Thank you so much! I love Instagram—it’s such a pleasure to express myself with images instead of words—it engages a different part of my brain. I find that baking and writing are perfect companions. Baking is physical, and it’s almost immediately gratifying, while writing involves a lot of thinking and sitting, and takes so much more time before I feel satisfied with the work. Plus, I do a ton of plotting and novel problem-solving while I am chopping apples at work! When I am in the middle of a draft, I do keep a writing schedule. I am usually finished baking by 2 p.m., and head straight for the library to write until 6 p.m. I am lucky to belong to a private library (The Boston Athenaeum—one of the oldest in the country!) that is just three doors down from the place where I bake, so there aren’t too many distractions to keep me from getting to work writing. 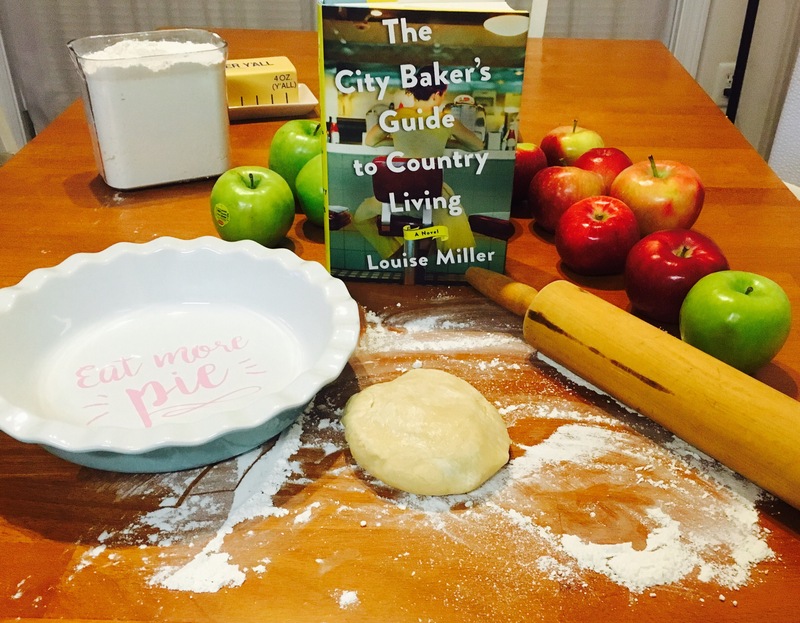 A big component of your novel centers around a pie-baking contest, and the apple pie recipe in the book is TO DIE FOR. (I know. I tried it!) Do you have an all-time favorite dessert? I’m not going to lie—for me, it’s usually whatever I happen to be eating. I am so happy you made the pie! It really is hard to pick. I love bread pudding of all kinds, and I love ice cream. But the sweets I have a total weakness for are cookies. I can’t pass up a homemade cookie. And they are my favorite things to make. As a debut novelist, what’s been the best thing about having your book baby out in the world? The absolute best part of publishing a book is connecting with readers. I have been blown away by people’s kindness and generosity. And it means so much to me when someone has fallen in love with one of my characters or with Guthrie, VT, the town I created. It is such a gift to have this chance to connect to people I normally wouldn’t have the opportunity to meet. If you could give one piece of advice to aspiring authors, what would it be? Write what you love. Don’t worry about what genres are hot, don’t worry if your story isn’t literary enough or romantic enough or thrilling enough—write the book you want to read the most. I’m hungry for your next book. What can you tell us about it? That is so nice to hear! My 2nd book is titled The Late Bloomers’ Club. It is about two headstrong sisters who inherit a piece of land, and have very different ideas about what to do with it. It takes place back in Guthrie, Vermont, the setting of The City Baker’s Guide to Country Living, but with all new characters. It is in part about the way we can get stuck in the roles we play in our families, and about how we can get stuck in the way we see ourselves. There is a pretty important cake in the book, and a missing dog, and a few important secrets. There is a lot going on in this book! But I am really happy with the way the stories came together. Now for the most difficult question—what are some of your favorite books? I have a soft spot for debut novels. Long before I started writing my own, I’ve always loved to read writers’ first books. Some recent debuts I have adored are J. Ryan Stradal’s Kitchens of the Great Midwest and Erika Swyler’s The Book of Speculation. One of my all-time favorite books is The Scorpio Races by Maggie Stiefvater. It’s part Celtic myth, part Dickensian orphan tale, and one of the sweetest love stories I have ever read. And I love every novel written by Ann Patchett—I will go wherever she takes me. Thank you for chatting, Louise! And thank you for sharing your delicious book and characters with us! For more on Louise Miller and her wonderfully delectable book, connect with her on Facebook, Instagram, Twitter, and Tumblr! And don’t forget to order her can’t-miss novel if you haven’t already! It makes a great holiday gift, too!